Register online on the website snaptest.org (from August 22, 2016 to November 22, 2016). Note: Any Changes in the online application form will be entertained only up to the closing date of Registration i.e. November 22, 2016. No changes shall be permitted after closing date under any circumstances. Candidates must have cleared graduation from any statutory/ recognized University or institution by securing minimum of 50% marks (for general candidates) and 45% (for SC/ST candidates). If candidates have passed their qualifying exam from Foreign University, they must obtain an equivalence certificate from the AIU. Foreign National (FN), Person of Indian Origin (PIO), Overseas Citizen of India (OCI) and Non Resident Indian (NRI) candidates are also eligible to apply. The candidates who have completed their qualifying degree from any foreign university or the institution must obtain the equivalent certificate from the AIU (Association of Indian Universities). No of Questions: The question paper will contain total 150 objective type questions. Type of Exam: Each question will contain four optional answers, candidates have to choose the right answer. Marking Scheme: Each correct response will carry 1 mark. Negative Marking: Each incorrect response will lead to 25% negative marks. Duration: The exam duration will be two hours (120 minutes). Candidates note down use only blue or black ball point pen to answer. The SNAP test may be conducted in 32 cities namely Agra, Ahmedabad, Allahabad, Bengaluru, Bhopal, Bhubaneswar, Chandigarh, Chennai, Delhi, Faridabad, Gangtok, Gurgaon, Guwahati, Hyderabad, Indore, Jaipur, Jamshedpur, Kanpur, Kochi, Kolkata, Kolhapur, Lucknow, Mumbai, Nagpur, Nashik, Noida, Patna, Pune, Surat, Vashi and Visakhapatanam. Prepare a good time-table for your exam preparations. Divide your time equally for all the subjects. Include little time breaks between long hours of study. Prepare for the exam as per the prescribed syllabus. Select the best books for exam preparations. Practice sample papers and previous years question papers for better preparations. SNAP 2017 admit card will be released by the authority in the month of December 2017. Admit card will be available till exam date. Candidates can download SNAP admit card through the official site. It is compulsory to bring admit card along with photo identity proof at the time of the test. Candidates make sure to paste latest passport size, colored photograph on the admit card. Candidates are advised to keep the admit card safe till the admission procedure. SNAP 2018 is a University level entrance test managed by the Symbiosis International University. Symbiosis National Aptitude Test (SNAP) is organized to offer admission to the management programme (MBA). SNAP Registration 2018 will begin from the 4th week of August 2017. SNAP 2017 score card will be released by the officials in the month of January 2018. The score card is valid only for one year. Candidates who will appear the examination can download the score card from here. Score card can be downloaded by entering SNAP ID & password. Pay the test fee of Rs.1500/- as per the instructions mentioned on the website for Payment of Test fee. (from August 22, 2016 to November 25, 2016). After online SNAP 2016 registration print ‘Axis Bank or Indian Bank Challan’ from the SNAP website. It is in 3 parts. Pay Rs. 1500/- in cash at any Axis Bank or Indian Bank branch in your city. Refer to the list of branches on the website. The bank will return two stamped parts of the ‘Axis Bank or Indian Bank Challan’ to the candidate. Candidates need to keep the Candidate copy as payment receipt. Sign the stamped ‘Symbiosis copy’ of the ‘Axis Bank or Indian Bank Challan’ and send it to the Symbiosis Test Secretariat at the address given in this page. Obtain a Demand Draft (DD) of Rs. 1500/- from any Nationalized Bank in favour of “Symbiosis Test Secretariat” payable at Pune. PHONE: 020-39116226/ 27, TELE FAX: 020-39116228The Symbiosis Test Secretariat will authenticate the payment details and will send you an email confirming the payment. Only after the payment is authenticated, would you be able to view your Admit card. Please note that Symbiosis Test Secretariat will not be responsible for non-delivery on any delay on the part of courier / postal services. It is also mandatory to complete institute payment process of desired institute for desired programme before the closing date of payment of the respective institute. Payment towards the institutes and programmes also needs to be done through the SNAP website only snaptest.org. All disputes between the candidate and the Symbiosis Test Secretariat shall be subject to exclusive jurisdiction of Pune city and by Arbitration only. SNAP Test Admit Card should be printed from the SNAP website snaptest.org which will be available from Friday, December 02, 2016, till Sunday, December 18, 2016. 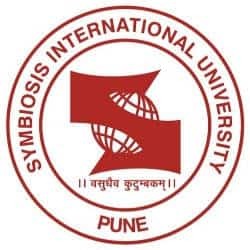 An authorized person from Symbiosis International University will verify and authenticate your Admit Card against the photo-id on the day of the test. Please preserve this authenticated Admit Card for further GE-PIWAT processes. Candidates should note that an authenticated Admit Card is an important document without which the candidate will not be permitted to appear for further selection processes of SIU. If the Admit card is lost, a duplicate Admit Card will not be issued. It should be retained till the admission process is over. The SNAP registration fee is non-refundable. Please note that claims for refund of the SNAP registration fee will not be entertained on any account. At the time of filling the online application form or while appearing for the SNAP test, any attempt to impersonate or indulge in any other malpractice would automatically disqualify the candidate from admission processes at all post graduate institutes of Symbiosis International University and make the student liable to legal prosecution as per the laws of country. Every student is urged to note that no donation or capitation fee is required to be paid for admission to any of the Symbiosis institutes. Students are cautioned against falling prey to any such assurance/offer by any individual or outside agency. Candidates will be shortlisted for GE-PIWAT based on their overall SNAP Percentile. Please check the respective institute website for information and dates of GE-PIWAT. Category-wise cut off for Merit List and Wait List will be displayed on the website of the respective institute.